3 months back a pastors wife Suvartharani visited our home. She shared her testimony how we could meet the Lord Jesus. 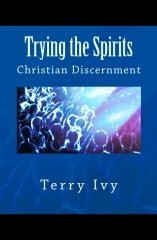 And she also shared the powerful and loving message of cross through DVD where Pastor Terry Ivy shared about the love of Jesus. As I was hearing the word, I felt Jesus himself talk to me. At end the messages I gave my heart to the lord. I also read the track messages written by Pastor Terry. I have no word to describe how I am blessed. I pray God blesses Pastor Terry, and Bro. John for his wonderful translation into my native language. Praise the Lord for his son Jesus Christ who came to die for all mankind. The night I was praying in my room and when I opened my eyes, I did see Jesus in my room. He hugged me and said, “Herra, I love you……..and he also said go to the project india church where you can learn more.” That was a wonderful experience. Many times I called out to ALLA, BUT never answered. However, Jesus answered my prayers. He is the living God. Since I have been coming to the project india church, I am so blessed. 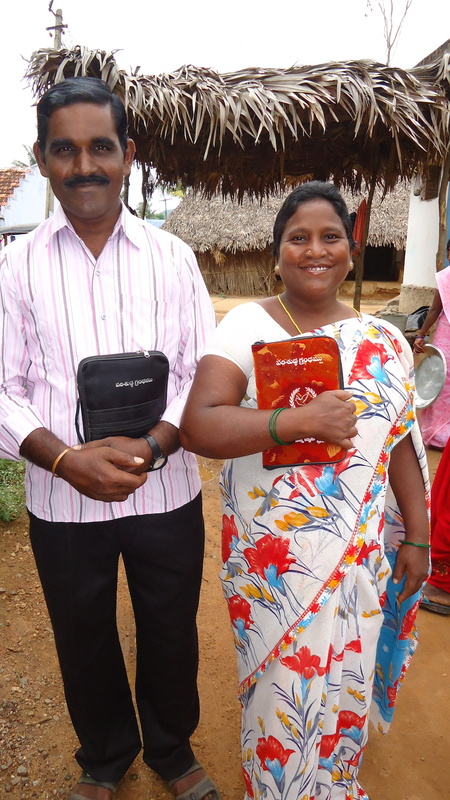 Thank you for your love and passion for planting churches among the unreached rural India. Because of your vision, I came to know Jesus. Now I will be taking the dvds and your track messages to various Muslim communities. I and my family started a small business, but after we came to Christ and to project india church, all our Muslim families religious groups excommunicated us. But we don’t fear because the Lord is with us. I have one more good news. I have been waiting for marriage for a very long time. People in my village used to tell me that I will not get married because I am aged. But thank God after coming to Christ, the Lord did bring a very good man as a life partner. We got married and are enjoying the love of God. Thank you Pastor Terry for your love, DVD message, and the track messages to rural tribal villages where we live. Thank you for planting the project india churches. You are great blessing to us. Can’t wait to see you brother! The photo in this article is Herra and her new husband! Through the work of our PROJECT INDIA team, the Lord has blessed us with the opportunity to reach villages that have no Christian presence. Many have never heard the gospel of Jesus and were are the first team of missionaries to reach these areas. Please keep praying. Please keep supporting. Jesus is mankind’s only hope! Joy! Joy, rejoicing joy in the wonder of the gospel and beauty of your ministry. May God protect her and make she and here husband powerful testimonies. Wonderful. The Lord bless you my brother in your work and I look forward to reading more on your blog.